Colorado Springs native and owner of Bee-Kleen, Steve Seifert is passionate about providing state of the art professional carpet cleaning in Colorado Springs and surrounding areas-- and that means both residential and commercial carpet cleaning for homes and businesses. Bee-Kleen is a second-generation, family-owned carpet cleaning company with 30+ years in the floor care industry. "What method of professional carpet cleaning does Bee-Kleen use to get results?" Bee-Kleen uses Hot Water Extraction Cleaning. Commonly known as steam cleaning in Colorado Springs. This approach uses modern, truck-mounted equipment operated by an IIRC-Certified technician. High-pressured hot water and safe cleaning solutions are used to gently, but effectively agitate carpet fibers and dissolve dirt and contaminants. ​"​What levels of professional carpet and rug cleaning does Bee-Kleen provide in Colorado Springs?" ​Bee-Kleen offers three levels of carpet cleaning services in Colorado Springs and surrounding areas. Ideal for highly trafficked areas of carpeting. The 3-step carpet cleaning process includes. Pre-Conditioning: We treat your highly trafficked and soiled areas of carpet with natural, citrus-based cleaner. We then carefully prepare the carpet for removal of stains, while providing natural deodorization. Deep Steam Cleaning: We perform deep soil extraction with low moisture, truck-mounted steam cleaning, while using neutral rinsing agents. Soften: During the steam cleaning process, we apply fabric softener and remove detergent residue-- this step is an important part of leaving you with carpet that has a soft, silky feel and not sticky or tacky. Most popular-- offers comprehensive investment protection. Commercial-Grade Dry Vacuum*: When needed, we do this to remove dry, abrasive soils that can damage carpet fibers. Many people don't realize that these abrasive soils act like a knife on carpets. CRB Agitation: Counter Rotation Brush (CRB) is a modern game-changer for carpet cleaning. With the CRB, we are able to carefully agitate, lifts and separate matted fibers to promote even distribution of pre-conditioning agent. Groom & Set: This is done to evenly distribute the fabric softener and reset the carpet fiber nap back to original nap. We also move light furniture back into place, setting blocks and tabs under furniture for protection. 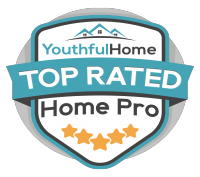 5-star service--gives you a guest-ready home within hours. Protect: During this step, we apply carpet protector to preserve carpet appearance and revive and extend stain resistance. Pro-Dry: Commercial grade air mover speeds the drying process. Advise you of any possible permanent staining. Living in Colorado Springs, we get all 4 seasons…sometimes all in one day! Each season comes with changes that can effect our household carpets greatly. With children and pets tracking in snow and mud, deep stains often seem hopeless. And although Spring can seem like a “clean” season, pollen makes our allergies run AND gets stuck in our carpet fibers! This causes allergies to flare up even when you're not outside. For these reasons, we recommend a professional carpet cleaning every 6-12 months, depending our your personal situation. We believe you should enjoy your carpets in their best condition! Life happens, but your carpets do not have to show it. This is a great question and one we hear very often. We even created a blog post to address this issue. Whether you choose Bee-Kleen or a competitor, its important to us to continually educate the market and our customers on this issue. 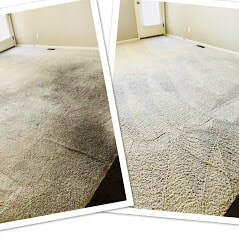 You can find the blog post here: Don't Get Burned: 3 Keys To Choosing The Right Carpet Cleaning Company In Colorado Springs. And please, if you have any other tips or suggestions on your experience, share those in the comments field. And be sure to check out our growing number of 5-star reviews from Google and around the web to learn why our customers think Bee-Kleen is the best carpeting cleaning company in Colorado Springs.